A cheeky double dare results in false pretences and true love in Mozart’s dark comedy. Would you place a bet on your partner’s faithfulness? And would you disguise yourself to test it? 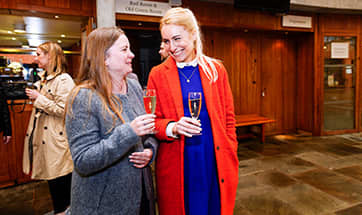 That’s exactly what Ferrando and Guglielmo do, and the surprising results are spelled out in the opera’s title: Così fan tutte (‘Women Are Like That’). As the innocent trick veers off-course, boisterous hijinks ensue, souls are searched, and true love is born – at some cost. Chock full of sublime Mozartean melodies and dazzling singing, Così fan tutte is the third and last of the brilliant operas Mozart wrote with librettist Lorenzo Da Ponte (alongside Le nozze di Figaro and Don Giovanni). It has been described as ‘a glorious soap-bubble’, ‘a deep and unsettling masterpiece’, ‘a musical lark’, and ‘a profound and terrifying tragicomedy’. 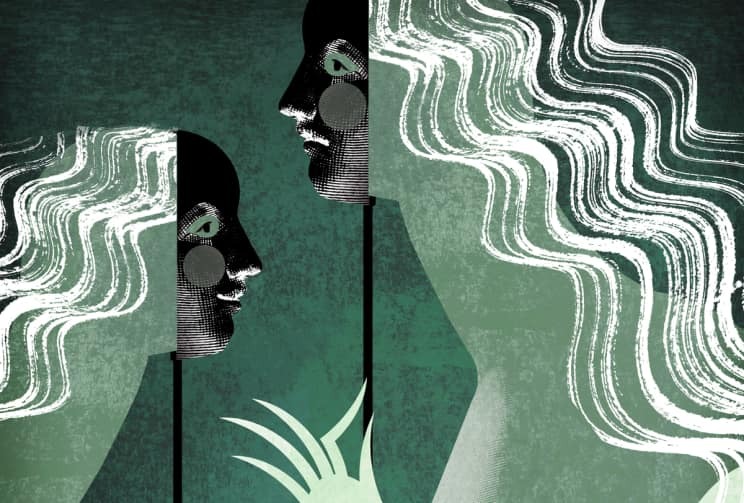 All these qualities and more shine through in this gorgeous period production by Nicholas Hytner, former longtime director of the National Theatre. Our pre-performance talks provide a bite-size overview of the opera that follows. Join us for a bite-sized introduction to the featured opera. Each talk is presented by an opera expert and lasts 30 minutes. More details to be announced soon. Sign up to our newsletter for updates. Don Alfonso and his young friends Ferrando and Guglielmo are arguing over the fidelity of women. Alfonso insists that all women are fickle, while Ferrando and Guglielmo refuse to believe that their fiancées, the sisters Fiordiligi and Dorabella, could ever be unfaithful. Don Alfonso wagers that by the end of that very day their fiancées will have betrayed them. He instructs Ferrando and Guglielmo to pretend that they have received orders to go off to war. Fiordiligi and Dorabella are singing the praises of Guglielmo and Ferrando when Don Alfonso arrives to tell them that their bethrothed must immediately depart for the battlefield. The young men arrive and the two couples bid each other a tearful farewell. 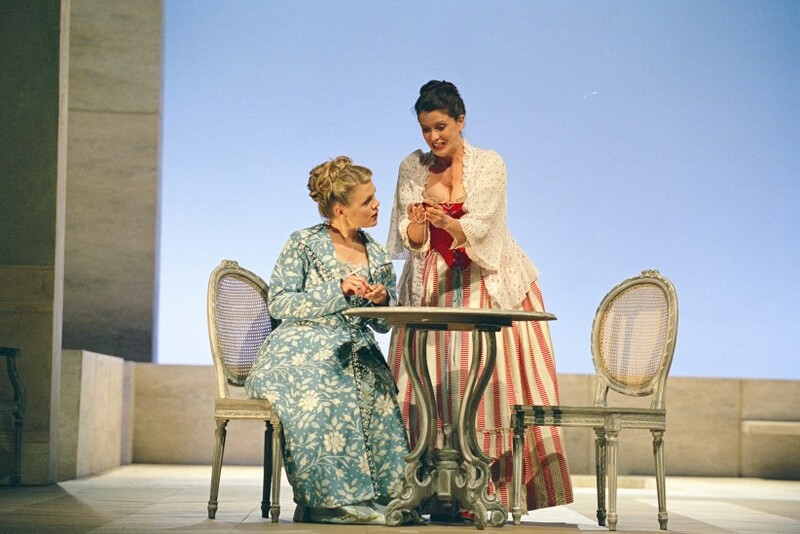 Despina, the sisters’ maid, is preparing their breakfast when Fiordiligi and Dorabella enter lamenting the departure. She counsels them to amuse themselves while their lovers are away, advice that horrifies them. After the sisters leave, Don Alfonso, who has overheard their conversation, recruits Despina to aid him in his plot, asking her to admit two suitors (the disguised Guglielmo and Ferrando) into the house. Fiordiligi and Dorabella are alarmed to find two strange men in their home, and become ever more alarmed when the two men begin courting them. Don Alfonso pretends the men are old friends of his and begs the sisters to accept them. But Fiordiligi staunchly swears fidelity to her absent Guglielmo. The sisters are lamenting the departure of their fiancés when the two ‘strangers’ barge in and swallow what seems to be poison. When they collapse, Despina and Don Alfonso go in search of a doctor, leaving Fiordiligi and Dorabella to tend to the apparently dying strangers. A doctor (Despina in disguise) arrives to revive the two afflicted suitors. As they recover, they vow their love to the vexed sisters with even greater passion, while Alfonso and Despina try to hide their amusement. faithless fiancés and their suitors. Finally, they reveal their ruse and the two pairs of lovers are reconciled. Or are they?